Jason Gaines believes in continuous learning. Read our interview to learn how his diligence, the support of mentors, the help of peers, and weekend travel, have all contributed to his path as a pharmacy student and enrolling in pharmacy school. During my third year of undergraduate studies I was approached by an alumni of Morehouse College and Mercer College of Pharmacy who had been a pharmacist in three different sectors (community pharmacy, managed care, and the pharmaceutical industry). He was able to speak extensively on the opportunities available and how one could merge their interest of being a clinician with business. Through this relationship I was able to shadow and experience the profession first-hand confirming his findings and providing more insight into the opportunities available with one degree. The plan is to be a very non-traditional pharmacist in which I utilize my clinical training and business acumen to set the pace of drug development in the world. A long term career in the pharmaceutical/biotech industry is my goal as it allows me to impact millions of people with one decision. Currently, I am in the process of examining various post-graduate fellowship programs with a focus on the commercial sector of the pharmaceutical industry. Due diligence! I can’t stress this enough. Pharmacy school, and any professional school for that matter, comes with a steep price tag, so I was more concerned about the quality of resources provided by the institution. Was there a large, diverse, and active alumni body? Were internship opportunities available? What was the licensure pass rate? What were the job placement statistics? How was the curriculum structured? Was there an opportunity to build relationships through community and/or organizational involvement? My process was very methodical and involved an excel sheet with various tabs of factors that were important to me. The point is to please do your research and talk to as many people as possible. Ensure that your decision includes factors that are right for you! Tell us about your mentors. No one succeeds alone. Success does take a great deal of self-initiative, but somewhere along the way, a mentor, parent, professor, friend, or colleague provides some type of guidance to steer you in the right direction. For me it was all of the above. Whether it was introducing me to the right people, or exposing me to the right resources, someone has helped me get to where I am. Treat everyone with kindness and build genuine relationships. From those relationships people are more willing to lend you advice and help you connect the dots of life. The journey is absolutely the best part. Often in life we get fixated on the end goal and forget to enjoy ourselves along the way. Life is nothing without the journey and people along the way. Through pharmacy school, you learn various cultures, perspectives, backgrounds, and gain a greater appreciation for life. You also learn more about yourself as a person and future clinician. Are you able to collaborate with your pharmacy peers? How? Yes. 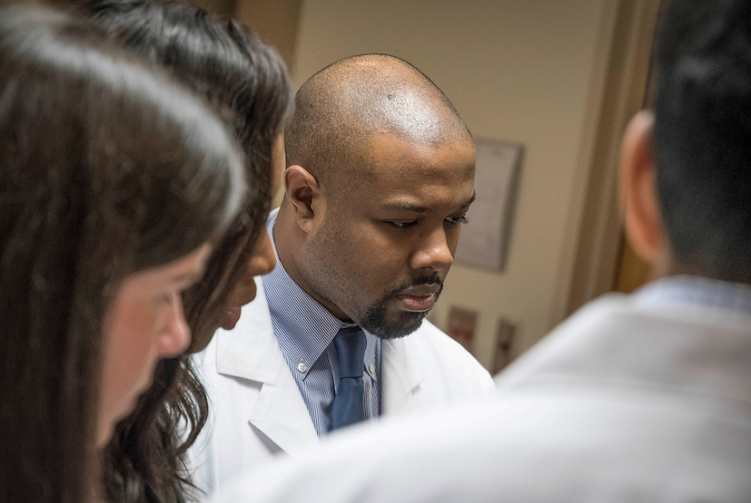 Through Mercer’s curriculum and organizational involvement there are plenty of ways to collaborate—whether it’s planning a patient care project, discussing policy, or utilizing problem solving skills for coursework. In addition to local opportunities, there are statewide, national, and international opportunities to collaborate with peers through organizational involvement. Over half the people I’ve met and collaborated with have been through organizational involvement. For instance, the American Pharmacists Association (APhA) hosts annual regional and national conferences. Members of APhA are also members of the International Pharmaceutical Students Federation which hosts annual conferences for students from across the globe. Through collaboration, the best learning occurs, because of the fresh and innovative perspectives provided by others. Pharmacy offers a vast amount of opportunities with the completion of one degree. After any respective PharmD program, student pharmacists have the ability to practice in many settings, including, but not limited to, community pharmacy, government agencies, clinical pharmacy, and the pharmaceutical industry. A pharmacy curriculum provides a solid foundation in physiology, pathophysiology, pharmaceutical sciences, and pharmacotherapy allowing one to optimize their training in non-traditional settings (i.e. law, business, etc.). In addition, pharmacists are the most accessible and trusted healthcare professionals, allowing us to practice at the top of our licensure. When you’re not studying, what do you do for fun? I love to travel, so when time permits I’ll take a road trip or grab a cheap 1-2 day flight to a nearby city. Some of the places I’ve visited during pharmacy school are Chicago, Los Angeles, and Puerto Rico. I also enjoy listening to podcasts, reading biographies, playing sports, and meeting new people. All of the things I do involve gaining new insight on life and continuous learning. What was the best advice someone gave you in high school? The only thing standing between you and your goal is the story you keep telling yourself as to why you can’t achieve it. What advice would you give a high schooler? Contact the admissions office of various schools to schedule a visit and review admissions criteria. Speak with current students for further insight. Begin to research various pharmacy careers. Prepare and conquer the PCAT in addition to your remaining courses. A positive mindset will help you achieve all things. The first step to success is to jump. If you never take a chance or chase your dreams, then they’ll never come true.